A few from the last 2 days. windy and cold so shot very little. Wind makes me wobble, pain killers make me wobble, add muscle relaxers lol. One has to be thankful for Image Stabilization, very, very thankful. 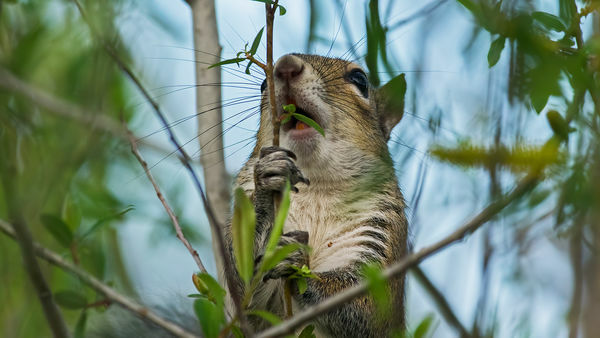 The squirrels this time of year are gobbling up the last of the buds preparing for the colder weather. I don't thin they realize the live in Florida. 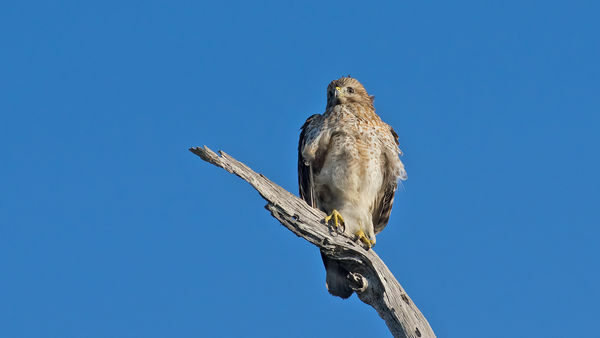 The Hawk appears to be a young one. However I may be wrong on that. 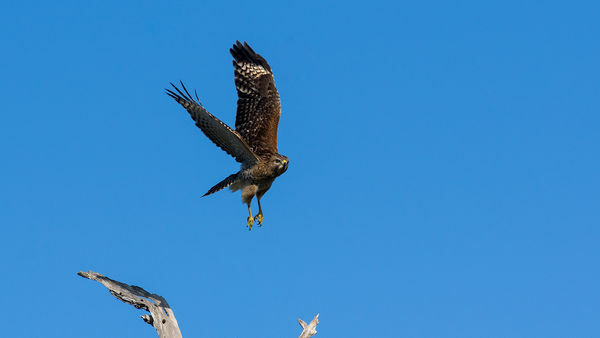 After it left its perch, it flew circles and even did a somerset before leaving the area. 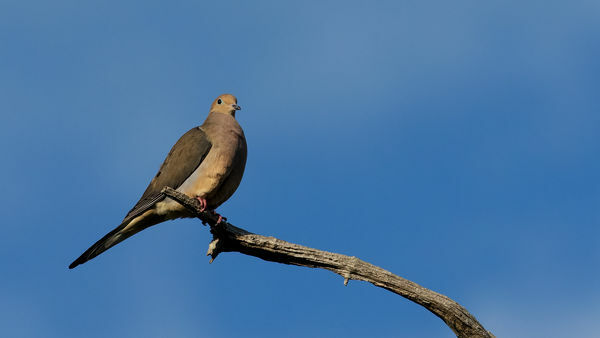 mourning doves always look so darn tidy all the time. I prefer the iridescent colours of the male over the female. Note the difference in the Herons pupil from right to left side. Left one looks normal the right one elongated. 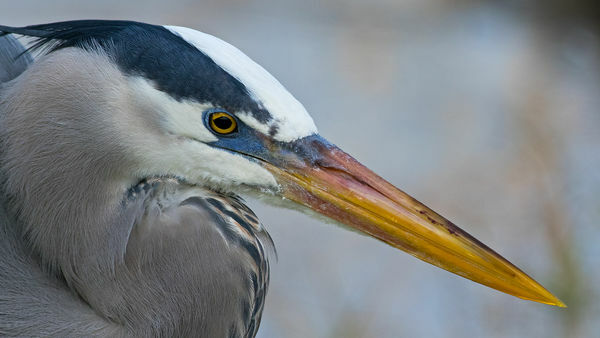 Herons, and most of these birds with aggressive chicks suffer injuries frequently. It may also be a genetic aberration. Great shots--especially the last one! Wobble or not, those pics are on the mark ! 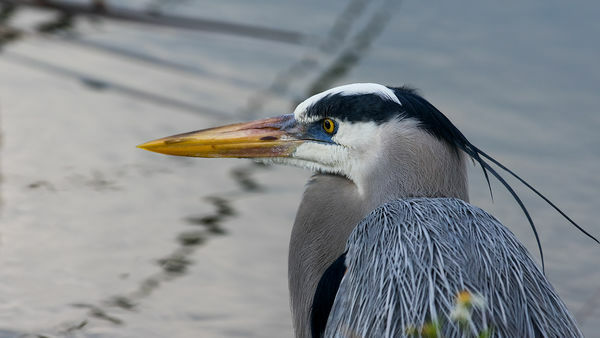 Excellent photos...very nice detail in the last two of the GBH!! Danniel, very nice composition. Really like #3.